Sarah Hirschmüller and Boris Egloff from Johannes Gutenberg University Mainz in Germany analysed the last words of people you might expect to bemoan bitterly their fate and “rage, rage against the dying of the light”: prisoners on death row just seconds away from execution. But in fact, more than 80% used a greater number of positive emotional words in their final spoken statements than negative emotional words. The scientists used a computer program to analyse the statements of 407 death row inmates in Texas, executed between 1982 and 2015. These last words were addressed to officials, the prisoner’s friends and family, and those of their victims, after the individual had been strapped to a gurney in the standardised procedures leading up to execution. “Intuitively, one might imagine that thought of one’s own death should evoke fear and anxiety as death may be associated with a broad range of frightening aspects,” say Hirschmüller and Egloff. They leave fears about annihilation or eternal damnation unspoken, but list pain, loss of loved ones and unfulfilled goals as some of the downsides of death. Dylan Thomas evoked this latter regret – of failed ambition – in his famous poem, in which the wise men inwardly bemoan that “their words had forked no lightning” and the good men “how bright their frail deeds might have danced in a green bay”. It is hard to find anything good to say about death. So it came as a surprise to the researchers when the computer analysis of prisoners’ final statements revealed that 335 of 407 (82.3%) used more positive than negative emotional words. Their “emotional positivity” was even greater than that found in a representative sample of everyday spoken and written materials, and greater than that found among undergraduate students asked to contemplate their own death in a lab-based experiment. The psychologists cite something called Terror Management Theory to explain the unexpected positivity of the final statements of prisoners moments before execution. According to the theory, finding themselves in a terrifying situation like this people deploy a “non-conscious emotional coping response” involving cognitive and behavioural efforts to avoid or ignore the anxiety. The researchers make no mention of the possibility that by accepting their fate the prisoners had found peace. This seems a far more likely explanation. The prisoners realised that what really mattered to them, after everything else had been swept aside, was the love and support of their friends and family, and perhaps some hope of forgiveness and closure. They had made their peace. What strikes me about this research is it suggests that even murderers – the lowest of the low in society’s eyes – are capable of expressing the highest, most humane sentiments in their final moments. Their last words were not bitter, defiant, aggressive or vindictive. For me, this is evidence not of “terror management” but redemption. If this is how well people cope under the worst possible circumstances, how much easier might it be for ordinary people who know they have a terminal illness to find peace in their final days and hours? This study provides a unique insight into how people cope with the imminence of death and it leads to a surprisingly optimistic conclusion. Even in the most unpromising circumstances, we humans have an extraordinary capacity at the end of our lives to make our peace, both with death and the world we’re leaving behind. Provided we have had time to prepare, by letting go rather than raging, perhaps it is possible to achieve “a good death”. 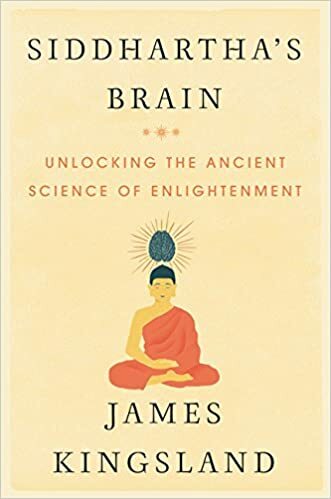 Incidentally, if you’re interested in Buddhism, neuroscience and psychology, my book Siddhartha’s Brain will be published on 26 April in the US and on 2 June in the UK.